Wintertime can be windy so warm clothing is recommended to avoid the wind chill especially when diving. In summertime, there is plenty of sunshine therefore, it is advisable to take the necessary precautions in terms of sun protection and to drink plenty of water. Relatively less extreme than the surface conditions, the sea temperature rarely goes down below 15C irrespective of the depth. *normally catered for in recreational diving around the month of January whereas it is warmest at around August at approximately 27C. In summer the sea temperature may vary with depth as it is usual for thermoclines to form during this period. Below 20m, sea temperature may be a bit fresher at around 22C. During the cold months it is more frequent to get windy conditions. 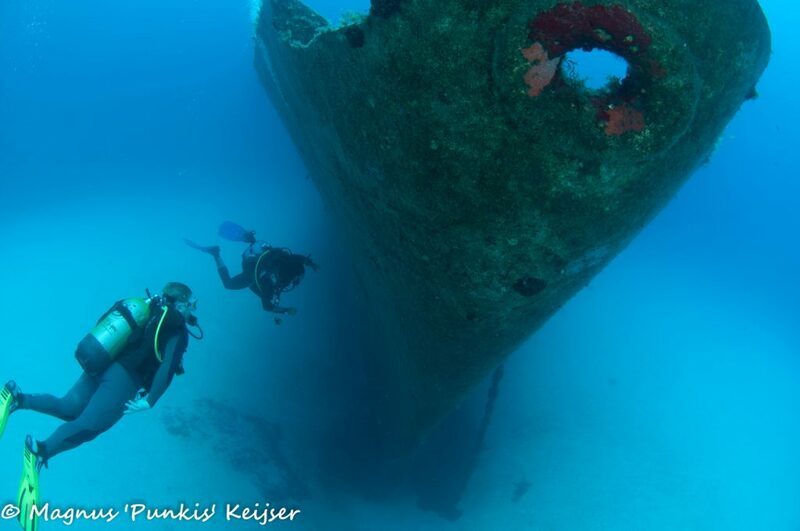 The nature of the Maltese islands is such that there are always dive sites that are well sheltered from the prevailing wind of that particular day. In the warm months it’s unusual to get strong winds, so most of the time all the sites would be suitable for diving. Note: that while the effects of tides are insignificant, there are a few areas that are occasionally subject to significant current. If diving unaccompanied by our instructors, please do not hesitate to ask about the weather conditions pertinent to that particular day. Divers are expected to complete a medical statement form prior to any diving indicating that you are fit to dive. If you are unsure about any section on the form indicated, we can provide the service of a diving doctor. The price is usually €50.00. Medicals from your country of origin are acceptable ensuring that the diving centre is provided with a copy. on weather conditions and experience. In some sites it is easy to encounter archaeological artefacts some of which may date up to the Roman era. Some of the wrecks are from the Second World War. Souvenir collecting is strictly prohibited by local laws and offenders will be prosecuted. Should you think that you have come across an item of potential archaeological interest, please inform your instructor/dive centre who will in turn relay the information to the Maltese Museums Department. As divers we all have a collective responsibility to take care of the aquatic environment by practicing ‘environmentally friendly’ diving. Our concern is that you get the best of the diving around the Maltese Islands have to offer with the minimum disturbance to aquatic life. Should you wish to engage in any activity involving local fish life (e.g. photography) please inform us and we will be happy to provide advice.